BEDFORD, MA -- The Wizards have only one game scheduled this weekend as the squad is set to travel to Laconia for the first time this season. Of the six regular season games remaining for the Wizards, them of them will come against New England Wolves. 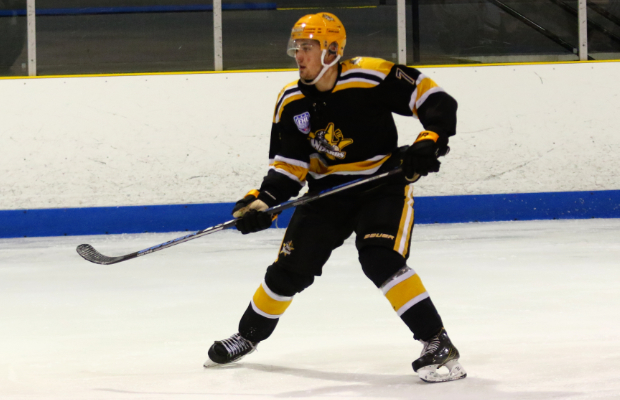 The Wizards fell to their New England Division opponent in Bedford back in early December by a 5-3 final. The Wolves are currently fighting for the 6th and final playoff spot in the North Conference with a 15-26-2 record and seven games remaining. They are fresh off an overtime win against the Boston Jr. Rangers last weekend. "This has been a nice short break for our team," said Wizards head coach and general manager Freddy Meyer. "It wasn't really planned this way, but the guys are battling some injuries right now, so having a full week off was huge. We're looking forward to getting back to work tonight. The puck will drop tonight at 6:30pm, with the final two matchups scheduled for the last weekend of the regular season. With just six games remaining in the regular season, the Wizards find themselves in 4th place in the North Conference with a record of 25-17-2 and will look to carry momentum into the playoffs.